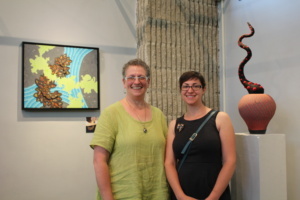 The Madelon Powers Art Gallery now resembles the scenery of “ Alice in Wonderland” thanks to work from artists Ellen Silberlicht and Brienne Roster. 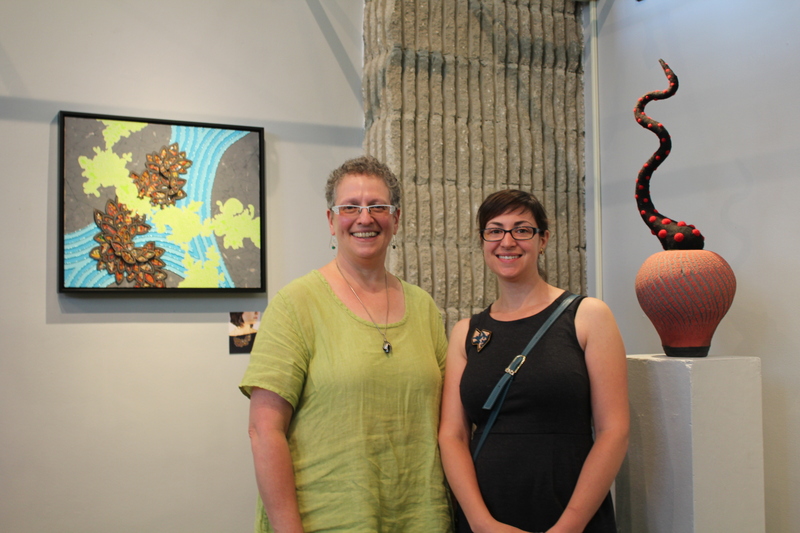 Until Sept. 28, you can view sculptures and paintings created by two Pennsylvania artists. The two were unfamiliar with each other before Joni Oye-Benintende, director of Art + Design Department, brought them together. Even though Silberlicht is a sculptor and Roster is a painter they are both using the same technique: mix-media which involves a variety of mediums in one work of art. Silberlicht uses clay and fiber to work while Roster creates her own paint and uses materials such as wood and metal. Even though the two have different art forms, their work coexists beautifully. The room looks like a garden, the sculptures act as flowers and trees, and the paintings as a peculiar sky. Guests got to meet and talk to the artists while eating, drinking and viewing the art on Sept. 5. 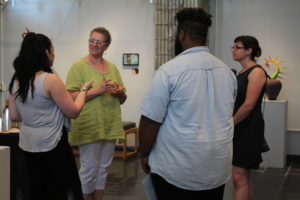 According to Dr. Weigand, a painting professor at ESU, Art students are usually the ones who take advantage of meeting working artists and said it is good for them to talk about “the process” of creating art. 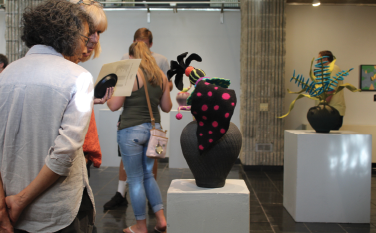 There are around 8 art exhibits throughout the academic year featuring work from local artists. Each one will have a different theme and will feature new artwork.